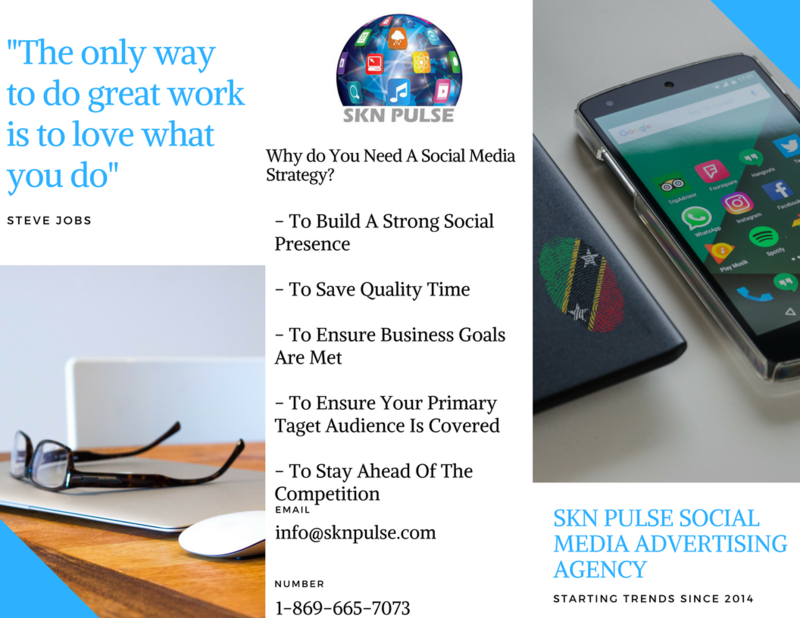 SKN PULSE – Yesterday, Sunday 29th October, the Concerned Citizens Movement held their caucus and ratified their new executive as they prepare to contest the Nevis Local Elections which is constitutionally due in January of 2018. The Hon. 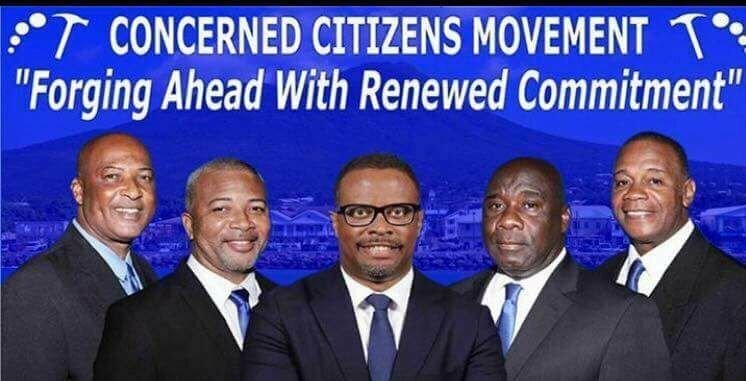 Mark Brantley, the Minister of Foreign Affairs and Deputy Premier of Nevis has been ratified as the new Leader of the Concerned Citizens Movement. Earlier this year, (March 24th) the Concerned Citizens Movement Party met to nominate the party’s executive and Hon. Mark Brantley was nominated by Hon. Alexis Jeffers to serve as Party Leader while Hon. Mark Brantley nominated Hon. Alexis Jeffers to serve as Deputy Party Leader. 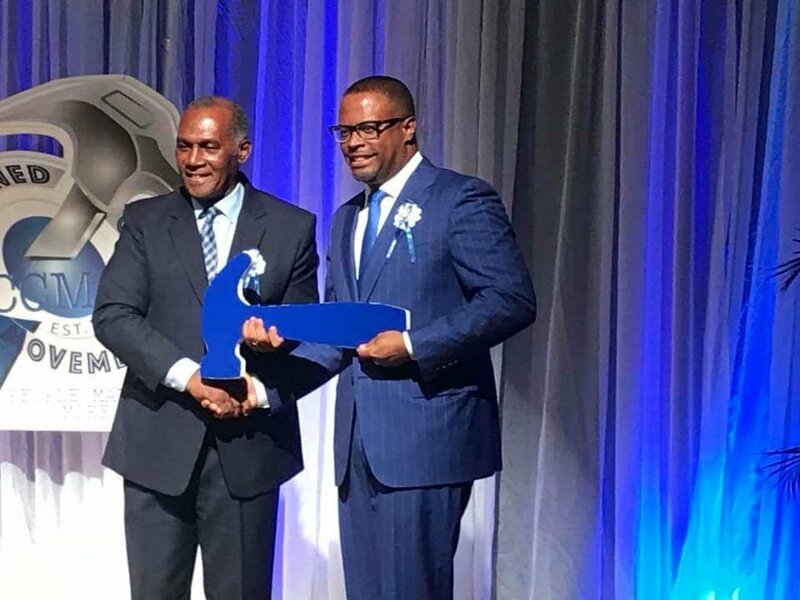 Sunday’s hosting of the Convention saw the official introduction of the new executive and Premier Vance Amory passing the Leadership Baton on to Hon. Mark Brantley as CCM readies itself to do battle against the Nevis Reformation Party. While Hon. Brantley replaces Premier of Nevis, Hon. Vance Amory as Leader, former public servant, Mr. Eric Evelyn will replace Mr. Amory in constituency #3. After a 30 year stint in representative politics, Premier Amory will not contest the upcoming local NIA elections. With election drawing nigh, the new look CCM team with Brantley at the helm will be “forging ahead with renewed commitment” according to their themed banner.